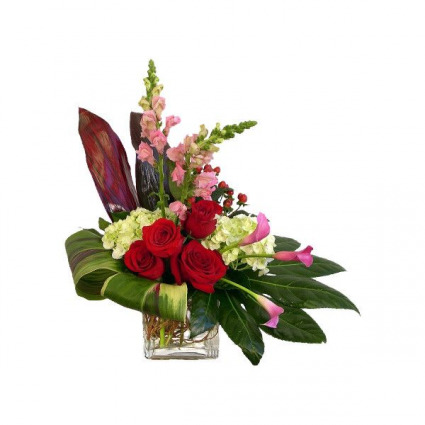 An elegant collection of roses, hydrangeas, snapdragons, and calla lilies are brought together in this unique arrangement. 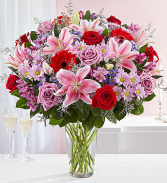 A dazzling arrangement of roses in pink, lavender, and red in a footed clear glass vase which is sure to wow your someone special. 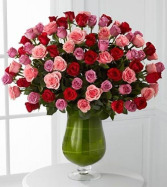 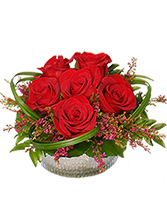 A gift of mixed roses perfect for any special occasion.